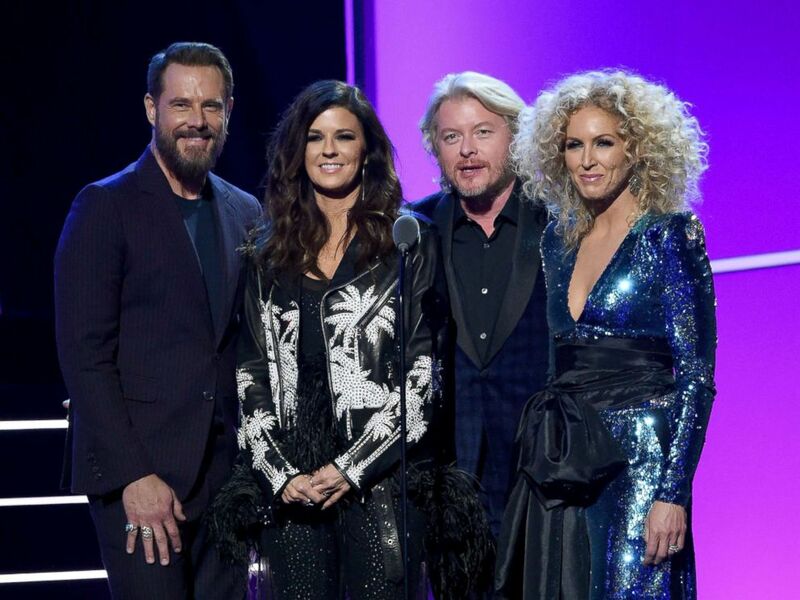 From left, Jimi Westbrook, Karen Fairchild, Phillip Sweet, and Kimberly Schlapman of Little Big Town onstage during 60th Annual GRAMMY Awards at Madison Square Garden on Jan. 29, 2018 in New York City. The Music Modernization Act, rolled out Tuesday, will allow artists to receive fair market compensation for their songs that are played on digital streaming services, such as Spotify and Pandora. For artists, like three-time Grammy Award winners Little Big Town, it offers relief to outdated laws. "We’re incredibly encouraged that this long overdue bill to protect songwriters and the entire creative community is finally coming to fruition. 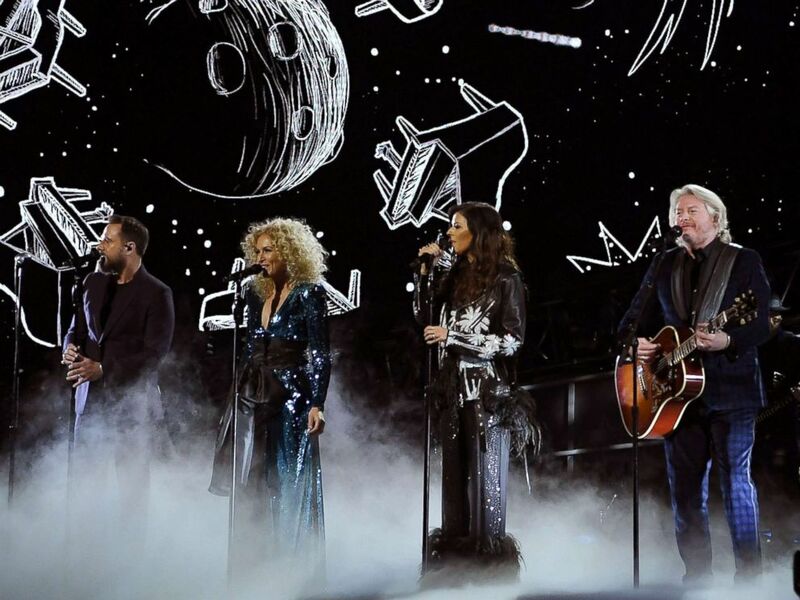 The song is where it all begins for us as artists," the country music group, comprised of Karen Fairchild, Kimberly Schlapman, Phillip Sweet, and Jimi Westbrook, said to ABC News. The group is slated to be honored for their advocacy efforts, next week at "GRAMMYs on the Hill" - an annual event that kicks off the Recording Academy's advocacy efforts for the year. Previous winners include Keith Urban, Zac Brown Band, and Alicia Keys. "The laws that were in place were completely antiquated and desperately needed to be changed in light of the digital world we live in now. This will be a big win for our collaborators here in Nashville." Little Big Town performs at Madison Square Garden in New York City, Jan. 30, 2018. Copyright laws go back more than a century and have not been updated in years. "You have a 1909 statue trying to govern 2018 technology, and it doesn't work," John Simson, a professor at the American University and founding member of Sound Exchange, a non-profit organization set up to collect and distribute performance royalties, told ABC News. 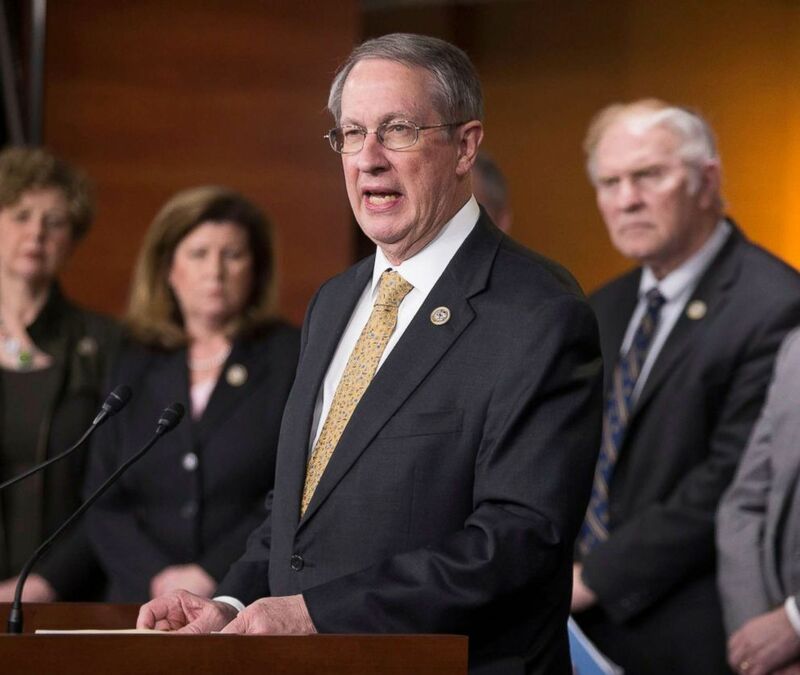 The Music Modernization Act was introduced by House Judiciary Committee Chairman Rep. Bob Goodlatte, R-Va.
Chairman of the House Judiciary Committee Republican Bob Goodlatte, center, delivers remarks on Capitol Hill in Washington, D.C., March 14. 2018. It combines the legislation introduced in December, under the same name, as well as the Allocation for Music Producers Act, which provides royalties for music producers; the CLASSICS Act, which provides royalties for songs created before 1972 from digital streaming services; and a watered down Fair Play, Fair Pay Act, which does not include the provision that broadcast radio should pay for songs. Corresponding bills have been introduced in the Senate championed by Sens. Chuck Grassley, R-Iowa, and Orrin Hatch, R-Utah. "Really each side is getting a win-win in the legislation," Daryl Friedman, chief industry, government and member relations officer for the Recording Academy, told ABC News. But not all streaming services are on board with the proposed legislation. However, Simson believes the act is the "best solution to a complex problem." The Music Modernization Act will also create an agency funded by streaming services that would have all of the music publishers under one roof. The digital streaming service would pay the agency that the act establishes, and it would track and collect royalties for the artist. "The system for finding all of those publishers isn't as efficient as it could be," Friedman said. "The new Music Modernization Act updates the laws to make sure that the songwriters, producers, and artists who make the music that fans love, can be fairly compensated," Friedman continued. "I'm for the bill," Simson said, adding that he's known as someone who has fought for artists before his time at the Sound Exchange. The new legislation, according to Friedman, has received bipartisan support much like the first iteration of the act. For artists, like Little Big Town, the legislation is welcomed as well.